Max Igan is an excellent voice to help you come to terms with what is happening in these times of the apocalypse. When you first start to wake up you go through a period of astonishment of how the world really works. Then you either go into denial or you get frustrated perhaps even angry at the madness that surrounds us. So the questions becomes how do you cope with being awake and still live in this reality and play the game so to speak and keep your sanity , energy and vitality. This can be challenging and for many that awaken they end up in a sort of rambling insane state where they can no longer really function becasue of the burden of this knowledge. This is a state that most of us actually go through in the process , they key is to make sure you move through it and find a balance between being awake and and still enjoy your life , your existence. This is where Max Igan can help , aside from bringing a tremendous amounts of material to help you put the pieces together about the unfolding apocalypse and the nature of reality . His perspective, his state of awareness is very much like my own, in that he sees things from the perspective of Infinite Consciousness. This is an absolutely vital tool becasue it will allow you to see all of this “Information” without letting it get to you and with this information and a clear head you will have greater synchronicity in “Navigating The apocalypse” . Max says that we all need to look in the shadows of our own consciousness, what Michael Tsarion calls Shadow Work. What this means to me is that we all need to clean our own house. Because of the fractal ” Nature of Reality ‘ the individual is a representation of the whole and vice versa , so by each of us taking care of our own business and raising our vibrational awareness we are changing the whole, as Ghandi said “Be the Change you want to see in the world. And this is pretty much what Max Igan is saying in all of his work , its not about being passive , it about being proactive in the most responsible way possible , and that is “Be the Change’. Max Tells us to try and see the Madness or Evil in the world as an incredibly opportunity , its like a slap in the face or a cold splash of water, this is exactly what is needed to wake us up. So things may have to get “Worse” so to speak before enough people wake up to start effecting any real change on the planet, and I tend to agree with this basic premise. Until then for those of us that are awakening and are increasing our awareness , when we understand what we truly are we can become the way shower for others. Here Max Igan has a talk with Ben Stewart the creator of the film Kymatica , both of these voices are addressing what I also agree is the real issue and that is change within. Once you educate yourself on who is in control of this planet , whether its the Illuminati or the Anunnaki or the ruling bloodlines like the Rothchilds . Once you are aware of these, it is then time to move deeper within and make real connections to the reality beyond the paradigms these beings have created . The answer to change will come from within and simply be non-compliance , with out our compliance there paradigms will crumble which is what is happening in the Apocalypse. 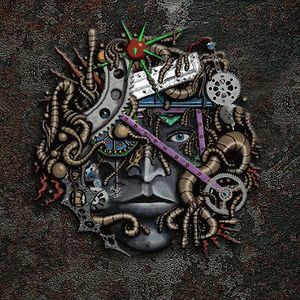 Her is an excellent introduction to Max Igan in this video series about surviving or navigating the Matrix. He really Breaks down the nature of reality itself and does a wonderful job describing what we actually are as Human Beings, excellent stuff, be prepared for amazing revelations .